Publication: Sp. Pl. 1: 372. 1753. Notes: Recently collected in Whatcom Co.
» Anderson, L. C., C. D. Zeiss, and S. F. Alam. 1974. Phytogeography and possible origins of Butomus in North America. Bulletin of the Torrey Bot. Club 101: 292-296. » Stuckey, R. L., G. Schneider, and M. L. Roberts. 1990. 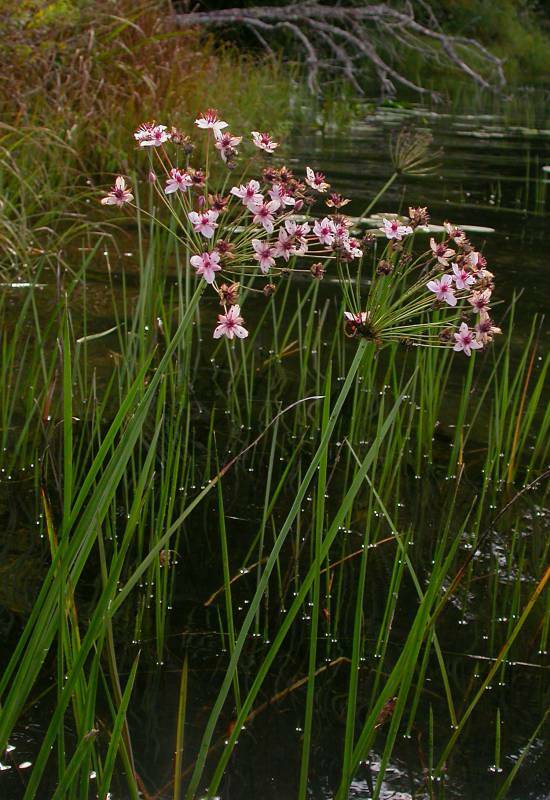 Butomus umbellatus L.: Notes from the German literature and North american field studies. Ohio J. Sci. 90: 5-6.